At Active Life Anti-Aging & Regenerative Medicine, we focus on correcting the root causes of our patients’ health issues rather than temporarily alleviating the symptoms. Functional Medicine addresses the underlying causes of chronic conditions such as allergic, digestive, hormonal, metabolic and neurological problems through viewing the human body as one whole integrated system and treats from this holistic approach. 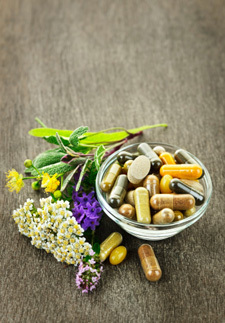 In contrast, traditional medicine is based on separate specialties, views the body as a collection of independent organs, and is focused on treating the symptoms being experienced rather than correcting the dysfunction responsible for diminished health. Many experts believe that the future of conventional medicine is the incorporation of this patient-centered approach versus an antiquated symptom-centered approach. Thus, our focus at Active Life Anti-Aging & Regenerative Medicine is to optimize your wellbeing and treat you as a whole person versus only treating the isolated set of symptoms that you may be experiencing. We follow this integrated approach to healthcare utilizing the latest in laboratory testing, diagnostics, supplements & nutrition, stress management techniques, prescribed medications and or botanicals/homeopathics, detoxification protocols, and bodywork. Call us for a Free Consultation to discuss your health challenges in detail and see if our programs are right for you!